L'otary is based on the sound and operation of the two most famous Leslies, the 122 and 147, and provides ultimate control over just about any parameter you can think of, making it extremely versatile. That said, the presets sound great and might be all that anyone ever needs. What I especially liked is the handle that changes the sound from chorale (slow spin) to fast, which also allows the user to select any speed in between. That said, a push button underneath provides the traditional slow to fast switching. There's also a visual look at both the horn and drum speed provided which helps to lock in the right speed for the song. One of my favorite aspects of L'otary is the the different simulated mic positions, as well as the motor and wind noise when it's set to fast. Just like the real thing! 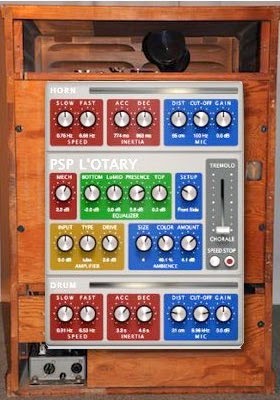 The PSP L'otary is a bargain at only $99 and is available in VST, AAX and RTAS formats for both Mac and Windows. 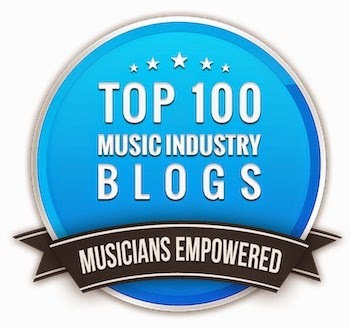 Check it out for yourself with the video below.